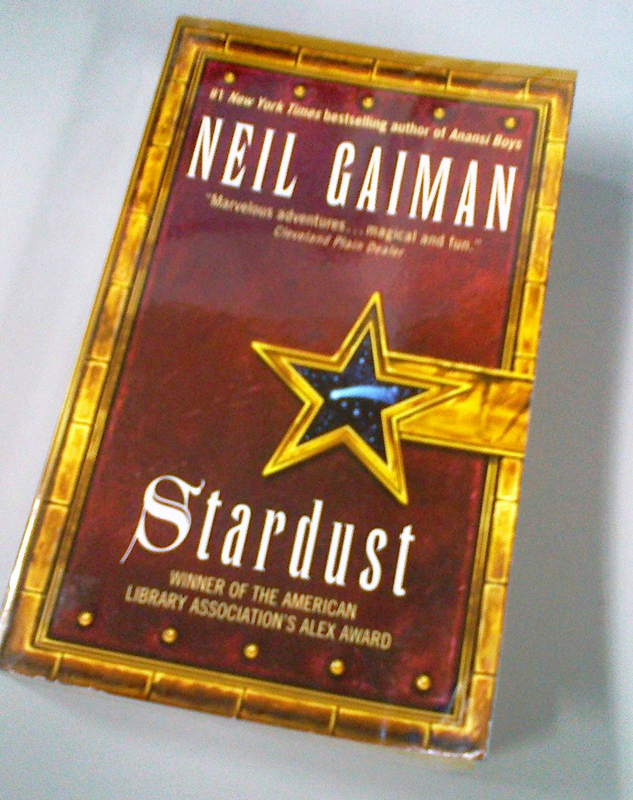 I just can’t believe that I was able to put off reading this work of Gaiman for a year now. The movie adaptation of this book was one of my favorites last year so I decided to try the book as well. Besides, I’ve been hearing good things about Neil Gaiman from my bookworm friends. I’m glad I did because I enjoyed the book as much as I enjoyed the movie. Stardust is a fantasy story about a lovestruck man, Tristan Thorn and a fallen star, Yvaine. Initially, Tristan was inlove with another woman, Victoria, and he will do everything just to get her attention. So when she asked him to get the fallen star for her, Tristan did not hesitate to cross the wall and oblige to Victoria’s request. To his surprise, what he found was not a piece of rock but an unbelievably stubborn girl and that’s the start of their wonderful story. Anyway, I’ll stop discussing the details of the story in this review for I might spill some spoilers. My experience while reading the book was actually a rehash of the experience I had when I was watching the movie. However, I felt betrayed when I found out at the end of the book that the movie was different in a number of ways. Well, they say never judge a book by its movie so maybe i’ll take note of that next time. I gave this book 4 stars because I really like it. I think watching the movie first didn’t help for I was so familiar with the plot that I didn’t get excited that much while reading. But I want to give Gaiman some credit for the plot because it’s really unique and I love his kind of old english writing style so for sure, this is definitely not my last book from Gaiman. If I had it easy, how then would I be able to stand when life gets harder?